Premium SVGA cable with double shielded Coax RGB lines. With integrated 3.5mm stereo audio line and adapter 3.5mm to 2x clinch audio. Particularly suitable for connecting to netbooks / Notebook with Flat TVs. The length of the audio cable is on one side 60cm on the other side 30cm from the VGA plug. 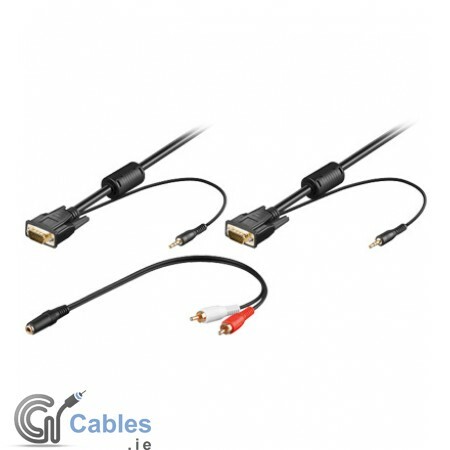 The cable is also suitable for laptops with front audio connections.